Application Deadline: 30th November 2018. AGFUND International Prize for Pioneering Human Development Projects is an annual prize established in 1999 by the Arab Gulf Programme for Development (AGFUND), with the aim of inciting and encouraging innovation and creativity in human development work. 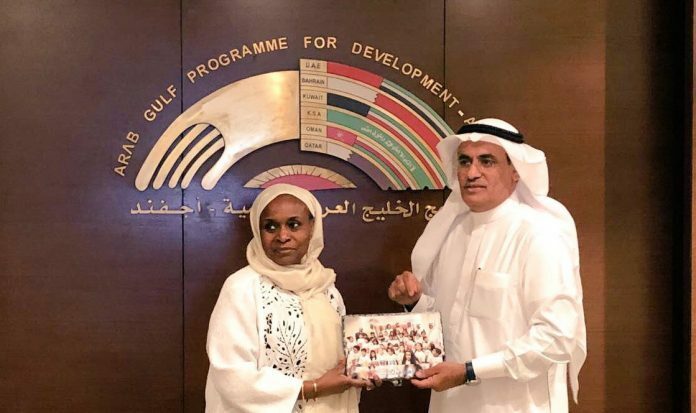 The Arab Gulf Programme for Development (AGFUND) announces the first goal of the SDGs 2030 ” End of poverty in all its forms everywhere ” as subject for the 2018 AGFUND International Prize 2018 and invites the United Nations, international and regional organizations, ministries and public institutions, social business enterprises, national NGOs, individuals and development actors worldwide to submit nominations for the Prize. The eligible projects for the prize are those implemented in the developing countries to achieve one or more of the targets of the Sustainable Development Goal specified as the theme of the prize. b) Certificates of Recognition and trophies (to be presented to all winners). First Category : Projects that are funded, designed and implemented by UN Development Agencies or international and regional NGOs. Second Category : Projects that are funded designed and implemented by national NGOs. Third Category : Projects that are funded designed and implemented by government ministries and public institutions or social business enterprises. Fourth Category : Projects that are initiated, funded and/or implemented by individuals.